Ms. Ritter joined the firm in 2011 as an Associate Attorney. Ms. Ritter’s practice focuses on residential and commercial real estate matters. Ms. Ritter regularly represents buyers, sellers, and lenders in the acquisition, sale, and financing of real estate. Ms. Ritter specializes in reviewing and negotiating Purchase and Sale Agreements, curing title defects, and navigating transactions through closing. Prior to joining Griffin Law, Ms. Ritter worked for a small firm in Boston focusing on business litigation matters. 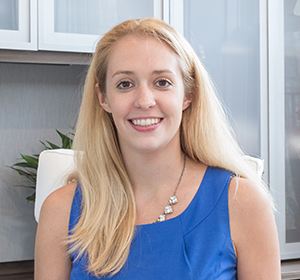 Ms. Ritter is admitted to practice law in Massachusetts and Connecticut and she is a member of the Real Estate Bar Association. Ms. Ritter is a graduate of Boston College and Boston College Law School. A native of West Hartford, Connecticut, Ms. Ritter currently lives in Newton.